The vast majority of hematologic diseases (either hemoglobinopathies, coagulopathies, or malignancies) lead to some kind of osteoarticular involvement. Such involvement is often responsible either for the clinical presentation or for some of the most disabling features of these conditions, and it is not uncommon for the radiologist to be the one who first suggests the diagnosis. Awareness of the imaging appearance of the main pediatric hematologic diseases is essential in order to avoid diagnostic errors and allow timely institution of treatment. 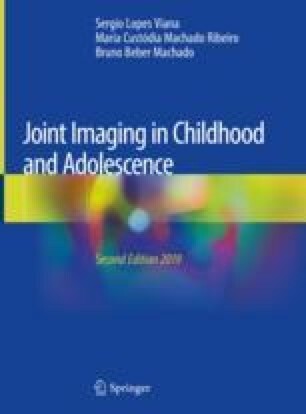 The following topics cover the imaging features of musculoskeletal manifestations in sickle cell disease, thalassemia, hemophilia, and pediatric hematologic malignancies. Kosaraju V, Harwani A, Partovi S, Bhojwani N, Garg V, Ayyappan S, et al. Imaging of musculoskeletal manifestations in sickle cell disease patients. Br J Radiol. 2017; https://doi.org/10.1259/bjr.20160130. Vaishya R, Agarwal AK, Edomwonyi EO, Vijay V. Musculoskeletal manifestations of sickle cell disease: a review. Cureus. 2015; https://doi.org/10.7759/cureus.358.